New DNA tests are powerful adoption search tools for adoptees looking for birth families. Male adoptees, like me, have used the Y-DNA test to determine the surnames of our biological fathers. This works, because certain genetic markers on a man’s Y chromosome get handed down from father to son—just like a last name. Until recently, there has not been a really good test to help female adoptees. But all that has changed. Now there are four autosomal DNA tests that each check more than a half million markers on both men and women. Each test can uncover biological relatives from anywhere in your family tree. Each test is now priced at less than $100 and includes a summary of your ethnic ancestry. Click the above links to learn more about each test directly from the lab involved. NOTE: My links to other sites open in new windows. If they don't work, check your popup blocker. Since the databases are mostly different, adoptees cannot tell in advance which one will uncover the closest, most fruitful matches. You need to do multiple tests and get into every database. Similar in concept, each of these new tests looks at the many chromosomes where your DNA is a mixture of all your ancestors. By finding long strings of matching DNA segments, they find people who share a common ancestor with you. They estimate your relationship, e.g. second cousins, with each match. And some of your matches will have posted family trees tied to their name. That common ancestor that connects you may have been on your mother’s side or your father’s side. The exciting thing is that these biological cousins may have the information you need to pinpoint your birth parents. Even if they don't, there is still a method you can use to identify your family. I have written a book that tells my whole story with all the details and all the highs and lows. In it, I describe every DNA test that I took to finally learn the truth about my biological roots. 1. They are learning their ethnic ancestry. 2. They are uncovering biological relatives of varying degrees, some of whom may lead them to their birth families. 3. When birth parents are deceased or otherwise unavailable, they are confirming their biological relationship by testing other close relatives such as half siblings, cousins, or aunts and uncles. To learn more about how adoptees use these tests see my Tracing Birth Parents page. Once an adoptee finds someone from his or her birth family, there is often a need to confirm the relationship. Two of these genetic genealogy DNA tests are powerful enough to confirm a variety of close relationships between two people. Parent-Child? Yes, for a lower cost than a paternity test. Siblings? Yes, distinguishing between full and half siblings. Aunt or Uncle and Nephew or Niece? Yes. Second Cousins? Yes, 99% of the time. For more information see this page on DNA Relationship Testing. Genetic genealogist Blaine Bettinger has collected actual shared DNA data from more than 6,500 relationships. To see a summary chart of average, minimum, and maximum shared DNA for many relationships see DNA Relationship Data. To see how different relationships appear on 23andMe review this page on Relative Finder as a Kinship Test. Many DNA labs that do paternity testing market the same technology as "sibling tests," or "kinship tests" etc. Based on no more than 24 markers, they can only estimate the probability of a relationship. I used one of these tests during my adoption search and the results were WRONG. 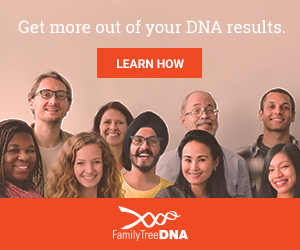 But I only discovered that after testing with Family Finder and 23andMe. These new test examine around 700.000 markers and can actually measure how much DNA two people have in common. So don't waste your money on these old technology tests. For more information check out my page on DNA Kinship Testing. I Have a Lot of Matches. Now What? Unless you discover a second cousin or closer, you will probably need to use a methodology called "triangulation." For information, time-saving tools, and support I recommend the DNA Adoption web site. Can DNA Help Birth Parents? It’s not only adoptees that are engaged in adoption search. Sometimes the birth mother (or birth father) may decide to search for the child they gave up for adoption. The DNA tests described here can only work in the opposite direction if the child you gave up for adoption (or one of his descendants) takes the same test. Since more and more adoptees will be using these tests every year, the chance of that happening will increase as times goes on. In my opinion, it would be a wonderful, loving act if birth parents who had given up a child for adoption would also take at least one of these tests. This also applies to parents and family members of children lost through forced adoption. See my Taken Children page for more on that. While you might not get an immediate match with your child, you are setting things up so your child can find you. Then, when your child or grandchild finally tests, you will both learn about each other at the same time. In the meantime, you can learn more about your ancestors through your previously unknown cousins that show up as other matches. To learn more about these tests from a genealogist’s point of view, see the Family Trees section. Like me, the people at Family Tree DNA thought my story would be of interest to other adoptees. So they interviewed me and posted a video on their web site. You can view that video now by following the link on the bottom of my Adoptee Search page. A science reporter from the Wall Street Journal found this web site and decided to do a story on my use of DNA in adoption search. The article began on the front page of the May 2, 2009 issue. You can read that article now by following the link on the bottom of my Birth Family Search page. During my search I ran across several examples of "official" records that contained deliberately false or incorrect information. To see what I mean and learn how I overcame these obstacles, read my page on Adoption Records. As someone who has experienced adoption search and reunion twice, I have thought a lot about this subject. Here are my thoughts on adoption reunions. Adoptees who test with all three companies have the greatest chance of getting lucky. By "lucky" I mean they get a match to a close relative, e.g. a parent, sibling, aunt/uncle or first cousin. Then all that's left is to discretely make contact with the family. Others get matches, such as a second cousin. Second cousins have one or two great-grandparents in common with you. A close examination of your match's family tree may be all it takes to solve your mystery. With 3rd thru 5th cousin matches you may need to use a method called triangulation. Your initial match list will grow over time as more people get tested. All three recommended companies are testing thousands of new people every week. Your match lists will continue to grow over time at no additional cost to you.